The inexpensive tool for the amateur / professional artist. 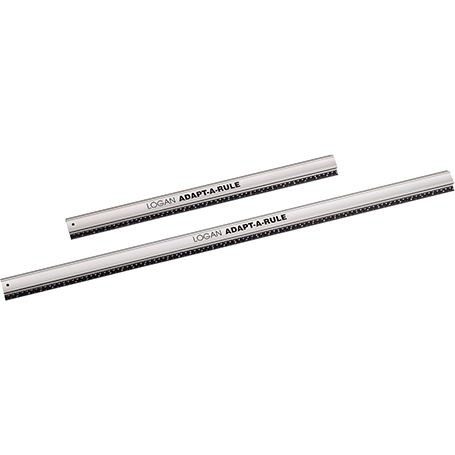 Equally suited for left or right hand operation, cuts a perfect 45 degree bevel. Blade depth is adjustable. 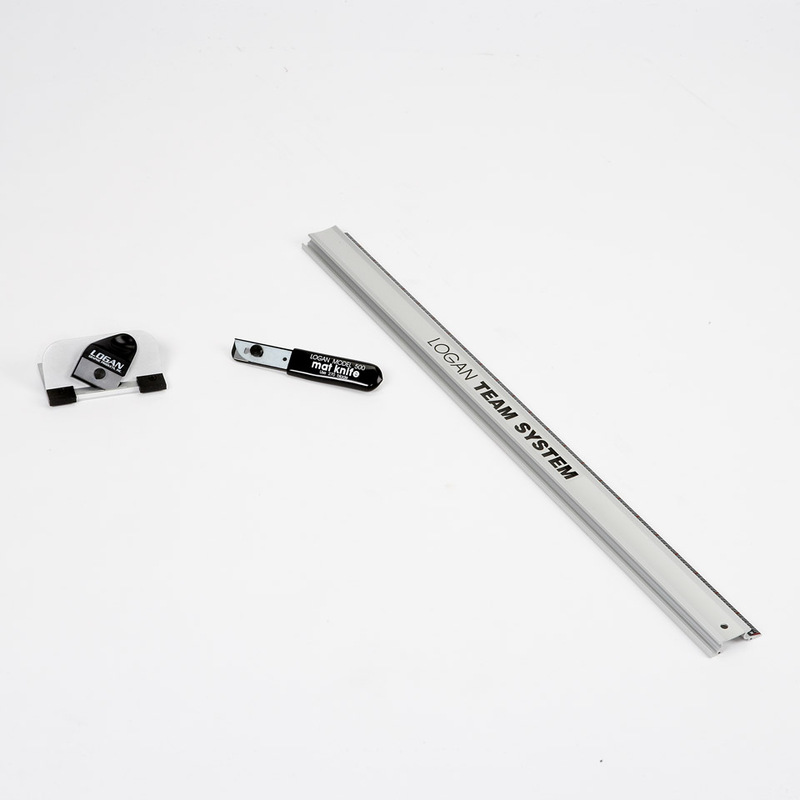 The Logan Team System Plus The simple system for creating quality bevelled mounts quickly and easily. 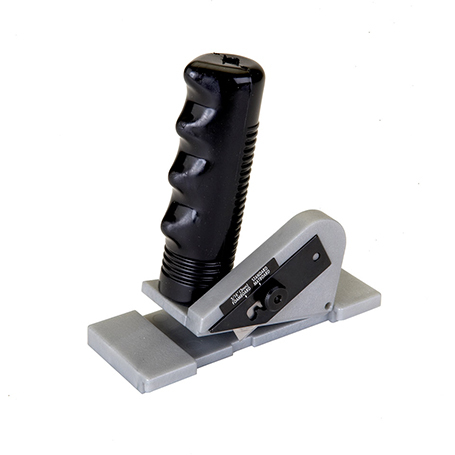 The Team System combines a non slip scaled guide rail and a logan 2000 mount cutter to ensure accurate cutting every time. 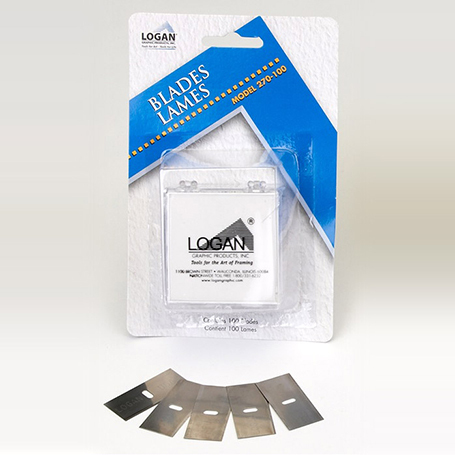 New pack now includes additional Logan 500 matt knife. 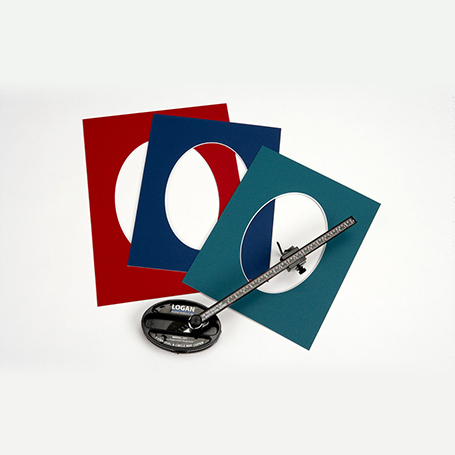 For those who want the ability to cut a wide range of oval & circle sizes, but don’t have the demand to warrant a major expenditure, the 3-step Logan Oval & Circle Mount Cutter promises reliability, range and simplicity. Cuts oval sizes from 3″ x 4.5″ to 20″ x 23″ and circles from 4″ to 20″ diameter, and allows for an infinite range of dimensions within these extremes, until now a feature found only in machines costing hundreds of pounds more. 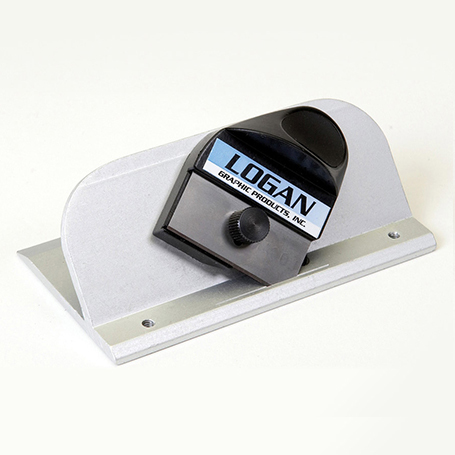 For Logan 301s, 401, 424, 450, 500, 525, 700-s, 750, 2000, 3000, 4000 mount cutters. 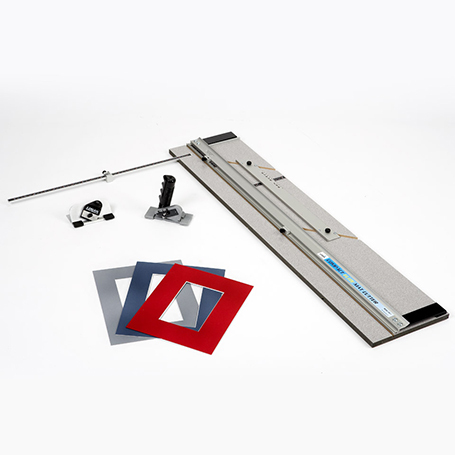 The Logan 450-1 has a 40″ capacity base board mounted mat cutting system with parallel mat guide in aluminum channels, 90 degree squaring bar, 20″ removable measuring bar, production stops, hinging guide rail, improved 701-1 Straight Cutter Elite and Pull Style Bevel cutter. 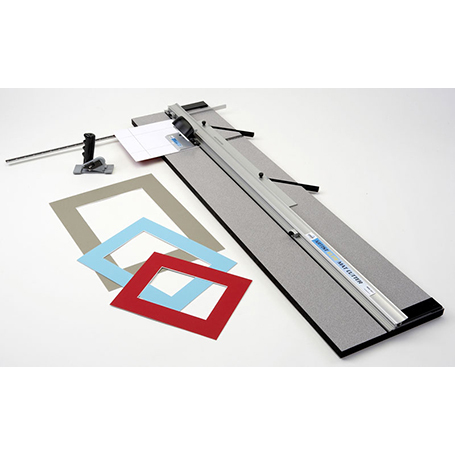 Includes creative matting instructions and includes five extra blades. Plus FREE set up and instruction DVD. Uses Logan 270 blade. Cuts mounts at 90 degrees and is equipped with guides to adapt to Logan mount cutting systems.. Simplex, Compact, Team Systems and Adapt-a-Rail. All the features of a production cutter at a very competitive price. 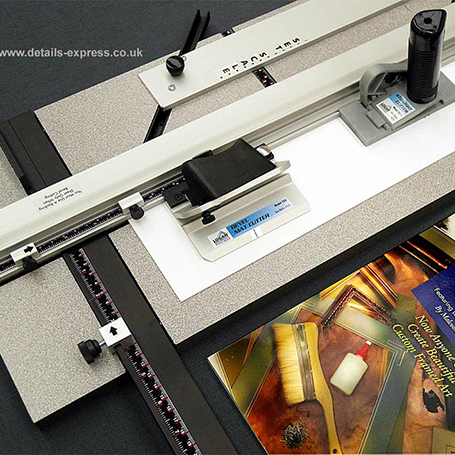 Includes :Full Size Squaring Arm, mount border width guide, block cutting head guide, measuring stops, a Logan 3000 45 degree pull stye cutter with anti-slip device & Logan701 straight cutter. 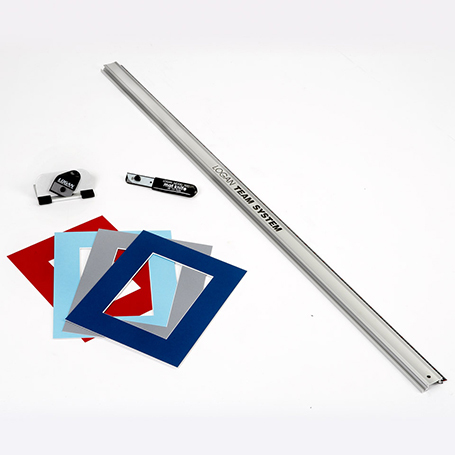 Maximum single cut 1016mm (40″) – accepts boards up to 32 x 40 inches. Highly recommended, with a 2 year waranty.